Using braces can help improve the position of teeth and other benefits. 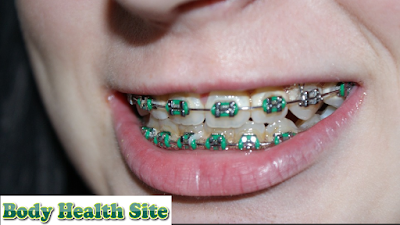 However, the use of braces is often overshadowed by the pain inflicted. Really and is there any way to overcome it? It often appears that advertising or bracing is not done by a professional dentist. We recommend avoiding those services. Brushing should be done by an orthodontic doctor, a dental specialist who has received special training for tightening and aligning teeth. The benefits of using braces are not exactly trivial. Starting with smoothing the location and arrangement of teeth, leveling the upper and lower teeth, overcoming barriers to speech, chewing difficulties and diseases of the gums, as well as tooth decay. The use of braces, as part of orthodontic procedures, will result in pain especially in early use. Usually more pronounced on permanent braces users, than removable ones. However, there is no need to worry too much when orthodontic doctors recommend you use braces. With the handling and professional advice of orthodontic doctors, the pain of brushing can be minimized. Surveys show that pain caused by orthodontic actions is one of the things that can hinder, as well as causing reluctance of patients to continue treatment. Pain becomes the most feared thing when a person wants to do orthodontic treatment. Various pain expressed by patients who use braces, among others, described as a sense of distress, tension, pain and pain in the teeth. The cause of pain due to the use of braces until now has not been known for certain. But a study showed that the possibility of discomfort caused by changes in blood flow in the teeth due to pressure from braces. In addition, friction braces and complementary instruments with soft tissue in the mouth can cause pain. Even so, sometime later, the network will adapt so users feel more comfortable braces. During the first few weeks of braces, you can use orthodontic wax to avoid injury. Use when you feel uncomfortable. Remove the wax from the package on your finger, then stick it on the braces that felt sharp or piercing. Choose soft foods that do not need to be chewed much during the first few days after the use of braces. The pain will mainly be felt within 1-3 days of use. Avoid acidic beverages and foods. Citrus contents in it can worsen the condition of the wound on the mouth or trigger deeper pain. Avoid hard or sticky foods because they can damage braces as well as cause irritation. Also avoid the habit of biting hard objects like pens, pencils, and ice cubes. Chewing gum will increase blood flow in the mouth and gums so it can help alleviate discomfort. Cold foods such as ice cream can provide a feeling of resistance that reduces pain. In addition, you can stick ice cubes in areas that feel pain. If necessary, ask your doctor to administer pain medications such as paracetamol or ibuprofen. If the pain is very painful or makes you unable to perform routine activities, especially after the use of braces or whenever braces are adjusted, consult your orthodontist. Ask for the best solution to reduce excessive pain. 0 Response to "How to Make Friends with Braces"